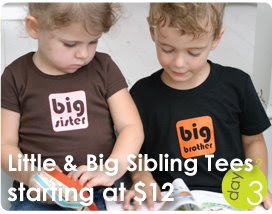 Pick up our sibling tees while supplies last. Be sure to share with a friend or your mom's group too. They will love you forever! Have you checked out our blog button? (see left bar) It's sure to add style to your blog or website.